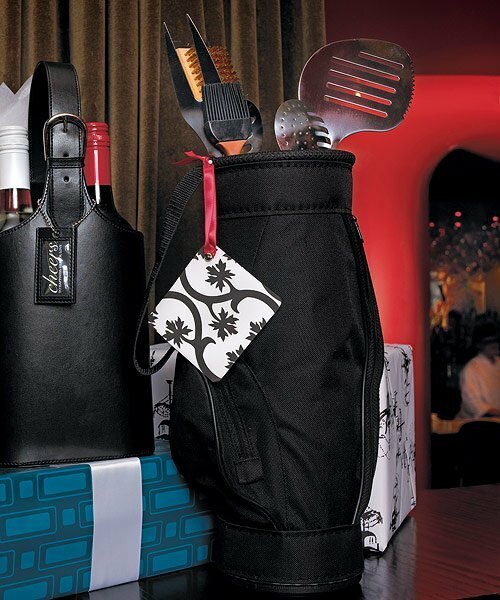 If the men in your bridal party like to golf AND barbeque, then this gift is a no-brainer. 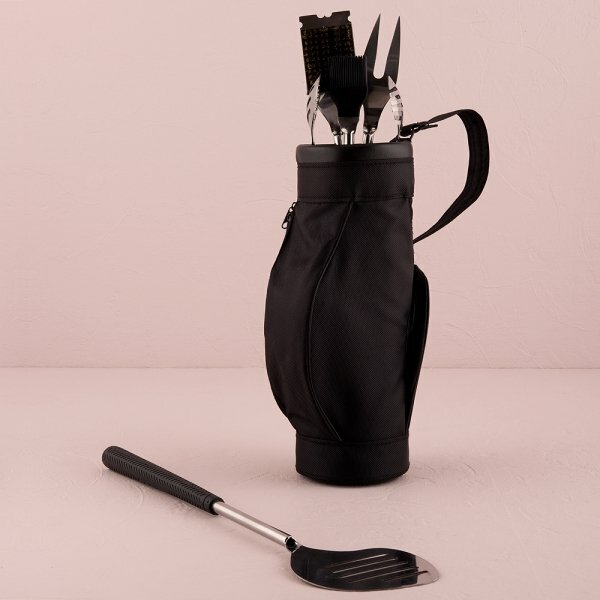 A black mini golf bag holds 5 easy to use BBQ tools that feature real golf grip handles. 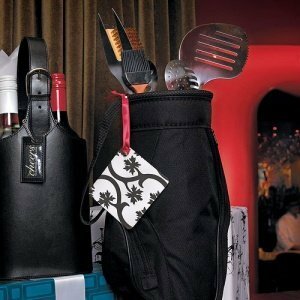 Gift stands about 17" tall with the tools sticking out of the bag. 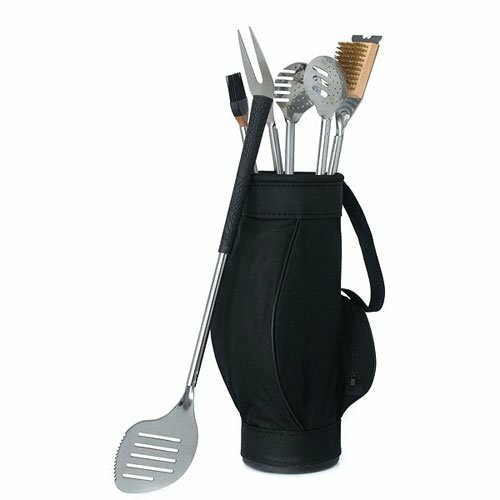 Product dimensions: 4.7 x 17" H (including Bag and Tools).